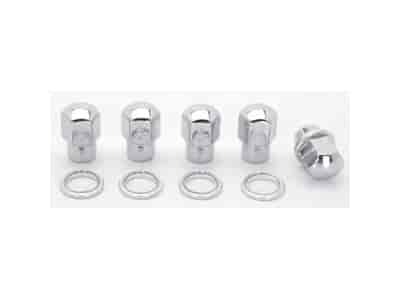 The Wheel Group 5100-5 - Closed End Duplex Mag Lug Nuts Thread: 1/2"
601-1466 is rated 5.0 out of 5 by 1. Rated 5 out of 5 by Jakl from Weld lug nuts Just as advertised. Fit perfectly; bolted my Weld Drag Lights right on, with noi hassles.